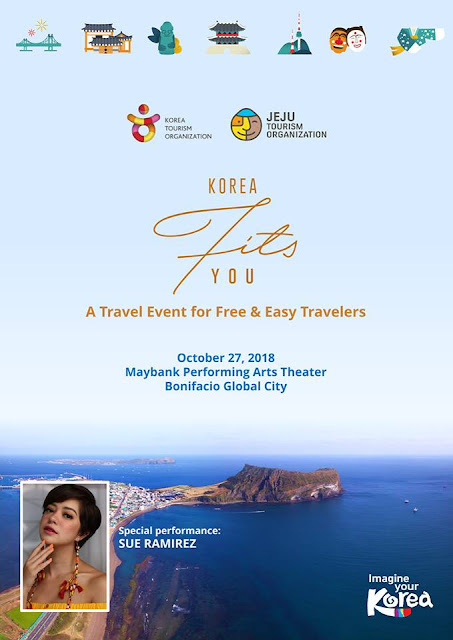 Join us on Saturday, October 27 (1:30 - 5 PM) at the Maybank Performing Arts Theater (BGC) for the Korea Fits You travel event, and learn everything you need to know before your trip to Korea! Those who are planning to travel to Korea during the autumn and winter seasons (November 2018 - March 2019). Participants will receive discount coupon books, brochures and will also get a chance to win in the raffle draw! There will also be special fun activities and you can get more information about Korean travel packages from selected partner travel agencies at the start of the event.